But is that the most effective use of your time? 650,000 Paychex clients don't think so. They decided their time is better spent on business priorities such as marketing, sales, and customer service. But they didn't choose just any payroll provider. They chose a proven partner with a unique combination of easy technology and 24/7 U.S.-based service. 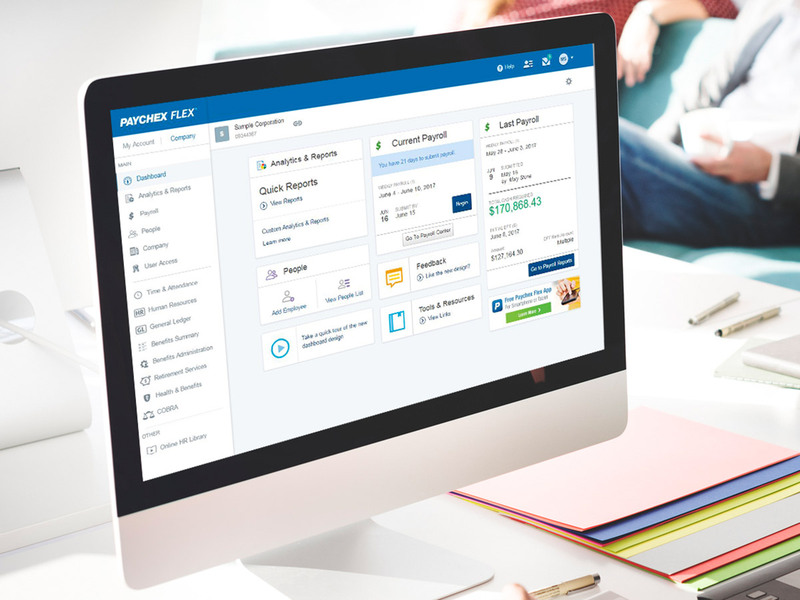 Read on to learn why signing up with Paychex payroll services (no contract required!) may be the best business decision you make all year. Get 3 Months of Payroll Processing Free! Learn how our payroll services help business owners focus on achieving their unique vision of success by outsourcing the time-consuming burden of dealing with payroll processing and taxes. See how larger companies rely on Paychex to accurately pay their employees, manage HR tasks, and help them stay compliant with the latest tax rates and regulations. You run your business your own way, so we let you compare and choose the best payroll solution to meet your needs. If you’re using another payroll service, we make it easy to switch. We’ll get you up and running in as little as two days after signing up! Easily submit your payroll online with Paychex Flex payroll software. In as few as two clicks, you can import payroll directly into the system, or you can key it in yourself. It's that easy. Process payroll on the go with the Paychex Flex mobile app. Plus, your employees can access their direct deposit info, W-2s, and more. Online learning is a popular way for businesses to engage and retain their employees. And only the Paychex Learning Management System (LMS) is included with payroll. 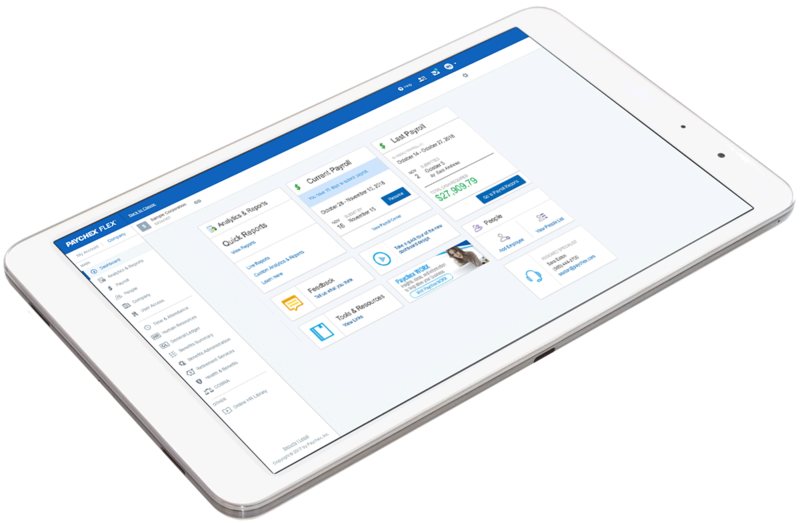 As a Paychex Flex client, you'll receive eight free courses with the option to add more or you can upgrade to also customize your current training and build your own courses, videos, quizzes, and reminders. The Three Months Free Payroll over One Year Promotion (the “Promotion”) will run from 11/1/18 – 4/25/19 and is subject to the following terms and conditions. The Promotion shall consist of three (3) months of free payroll services to eligible clients. An eligible client shall be a client who (1) is not currently receiving payroll services from Paychex; (2) elects the Paychex Flex® Pro, Select or Express payroll packages; (3) has between 1–49 employees at the time it commences payroll services; (4) runs their first payroll by April 25, 2019; and (5) processes payroll for twelve (12) consecutive months. Paychex will credit an eligible Client’s three months of free payroll in months ten (10), eleven (11) and twelve (12) following commencement of payroll processing. Client must be processing payroll with Paychex to receive three months of free payroll and any unused month is not redeemable in U. S. currency or for any other entity. Free payroll applies only to payroll services and Client shall be solely responsible for all fees due for services other than payroll. For businesses with fifty (50) or more employees, ask about our special year-end offers. Client shall be solely responsible for all fees due for services other than payroll. The Promotion cannot be combined with any other offer and is a limited time offer.